Great post! 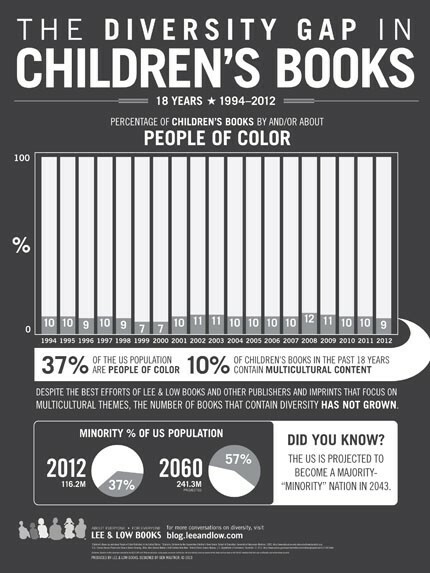 I think diversity in children’s books is a very important thing. The only thing I worry about when people start talking about diversity is the fact that some people let it completely take over their life. They forget that you don’t have to read ONLY diverse books. My goal is to get kids to see that books of all kinds are great! Diverse and those that are written by / have main characters that are just like you. I think that’s what’s really important. And I think it’s wonderful that you are making people aware that we need to have some diversity in the books we read to our children!